The night splint help treat conditions such as plantar fasciitis, Achilles tendinopathy, plantar flexion contractures, heel spurs etc. It is designed to hold the foot in place with the toes pointing upwards. Holding the foot in this position helps in stretching the plantar fascia and Achilles tendon, further assisting in curing any ailment in these areas. The night splint is designed in a way that facilitates comfort. It has adjustable straps that allows the user to choose and fasten the position that is most suitable and comfortable for him/her. Our night splints are light weight, breathable and can be used for light walking. Why are GulfPhysio’s Night Splints the best in Dubai? can be used for walking. The proper positioning of the foot is extremely vital for the recovery of these body parts. The plantar fasciitis night splints or the Achilles tendonitis night splints ensures that the plantar fascia and the Achilles tendon undergo a gentle stretch while resting. To know when it is best to use the night splint, it is important to know a little more about what causes plantar fasciitis and Achilles tendinopathy. Plantar fasciitis occurs when the tissue around the bottom of the foot that connects the bone from the heel to the toe, gets inflamed. This inflammation causes heel pain that can range in severity. It can generally be identified when a severe stabbing-like pain is felt in the heel area when trying to walk after being in rest position for a long period (like sitting or sleeping). After the foot gets some exercise through walking or moving around, the pain settles down but commonly tends to return after being rested for a long time. Plantar fasciitis is a common issue for people who require to use their feet for long periods of hours, like in the case of athletes, runners, ballet dancers, aerobic dancers, teachers who constantly stand to teach etc.. It is also common in adults aged between 40 to 60 years. Achilles tendinopathy occurs when the area between the heel bone of the foot to the calf muscles of the leg gets injured. This can happen due to multiple minor injuries of the tendon, that may not have completely healed. Damage to the Achilles tendon can cause stiffness, pain or swelling due to hindrance in the natural healing of the body part. Overuse of the tendon while running, exercising, training etc., use of wrong footwear while exercising, incorrect training techniques are some of the instances that can lead to the injury of the Achilles tendon. Both these ailments can cause severe, constant pain that can be alleviated with the use of proper night splints. 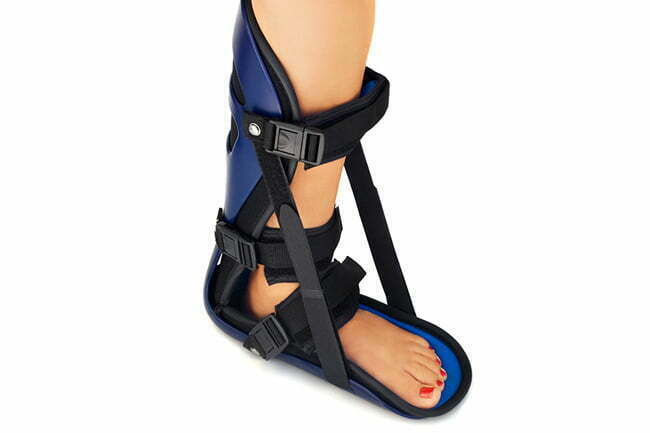 This article gives details on how a night splint can aid in curing plantar faciitis and other heel related ailments.